Sorry we have been away for a few days but we wanted to say a huge thank you for the amazing pictures. We love them and in particular some of you candid shots during the speeches, rainforest and dancing are exactly what we were hoping for when we first saw your work. 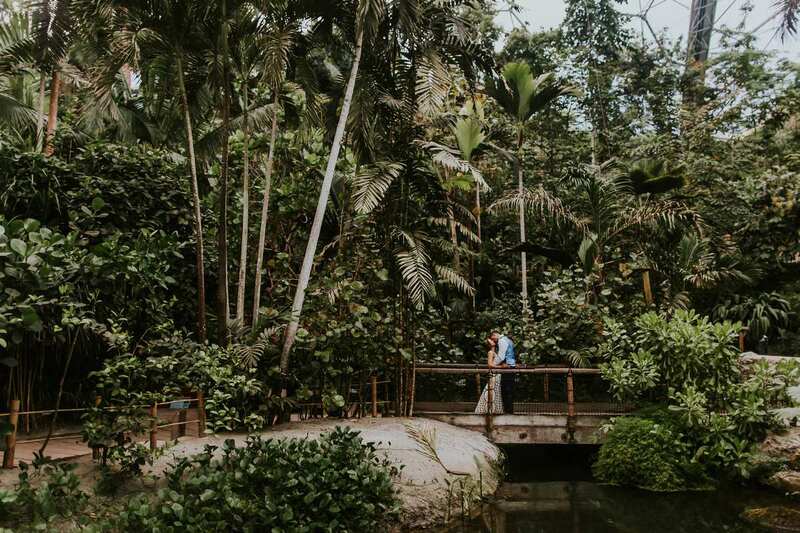 Katharine and Chris got married at the most incredible venue, The Eden Project. Honestly one of the coolest places you could ever imagine getting married at. One second you’re in deepest Cornwall and then next, in the Mediterranean (biome) with birds flying over head! Now imagine holding your wedding in this magical place. That is exactly what Kat and Chris did! Kat got ready in probably one of Cornwalls most iconic landmarks, the Headland Hotel, overlooking Fistral beach. The hotel is somewhere they had visited many times and held significance to them. Friends, family and a huge amount of love all inside a tropical paradise and you have one hell of a wedding. You could see the connection between these two beauties in every single click of the camera. I do dearly love this job! I always ask for a brief when I’m planning a wedding, just to iron out any logistical issues, I don’t like to plan shots at all, that’s not storytelling. But the whole ‘plan’ of the day was to grab natural shots and to really document the day. So this is just what I did. This is their wedding story, just as it happened. I hope you enjoy! EDEN PROJECT WEDDING PHOTOGRAPHER EDEN PROJECT WEDDING PHOTOGRAPHER EDEN PROJECT WEDDING PHOTOGRAPHER If you are getting married at the Eden Project and are on the look out for a wedding photographer, contact me as I’d LOVE to have a chat about your Eden Project Wedding!